On June 2, 1858, the Italian astronomer Giovanni Battista Donati discovered a comet that would later be named in his honor as Donati’s comet. 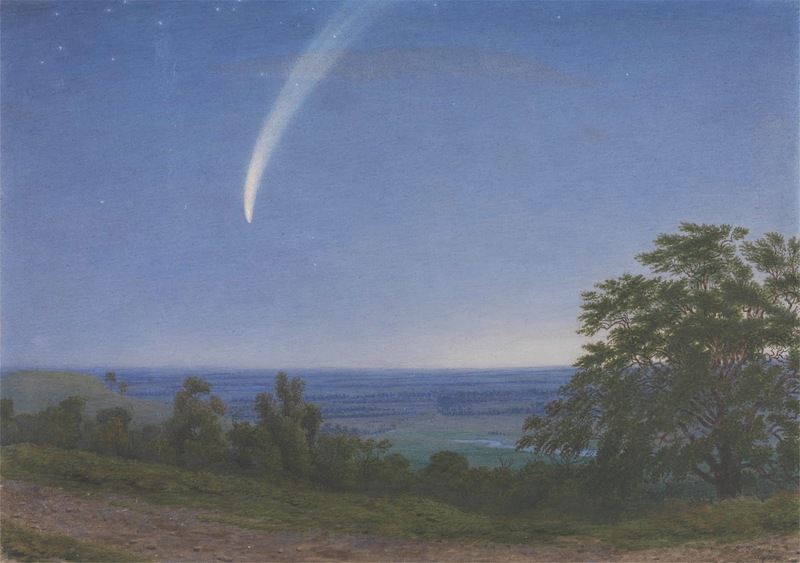 Donati discovered five other comets between 1854 and 1864. As a result of his discoveries, he was appointed as professor of astronomy and director of the observatory at Florence in 1864. Some of his contributions include work on early classification systems for stellar spectra. Upon his death, Donati was supervising the building of a new observatory at Arcetri, near Florence. Donati’s comet inspired multiple works of art, including William Dyce's “Pegwell Bay: A Recollection of 5th October 1858” and William Turner’s Donati's Comet (as seen in the photo).